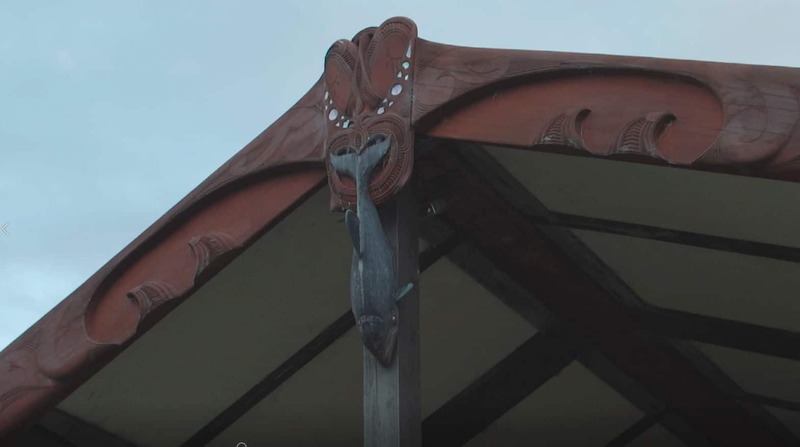 Māui and Hector's dolphins (collectively known as New Zealand dolphins) are hurtling towards extinction because fishing nets are killing them at an unsustainable rate. 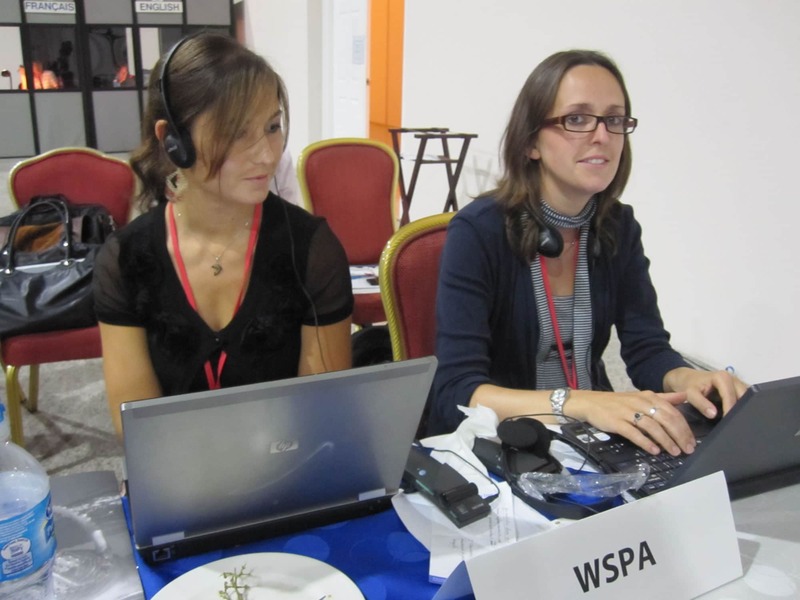 WDC is campaigning to save them and I've been wondering - if we are successful, how many dolphins should there be? How high should we be setting our sights for their recovery? I asked Gemma McGrath, our campaigner in New Zealand, and in her guest blog she answers this question and challenges us to think much bigger. One of the problems we face with pushing conservation forwards for New Zealand dolphins is that people have forgotten how abundant these creatures used to be. Once upon a time, this native species of dolphin, not found anywhere else in the world, was commonplace around most of New Zealand’s coast. People have also mostly forgotten how the seas used to teem with huge numbers of fish. While some of our elderly remember the coasts being this way, most of us have not experienced it in our lifetimes, so we don’t expect this natural level of abundance. Lowered expectations and shifting baselines affect the aims and standards of the conservation of many species, including dolphins. 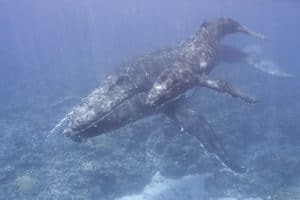 For example, over the past few winter months in New Zealand there have been an increasing number of humpback and Southern right whale sightings. One young Southern right whale spent several weeks in Wellington Harbour. It was beautiful – the city delayed its annual fireworks event to protect the whale. Most people were surprised and of course delighted he or she was there. 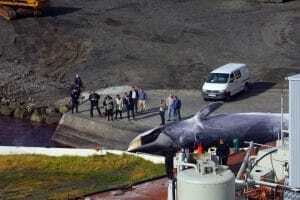 There were traffic jams and close calls, and ferries were delayed because the whale was in their berthing path. 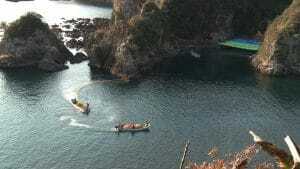 But several generations ago, our great-grandmothers couldn’t go to sleep at night because of all the noise made by the hundreds of whales in the sheltered bays and harbours around the New Zealand coast. We are supposed to have hundreds of whales living in our bays during the winter months every year. They belong here, and they were here way before us, even before Māori arrived in Aotearoa (New Zealand). Of course, whaling changed all that. Numbers are slowly recovering, and I hope we can expect these whales to become a common sight again. 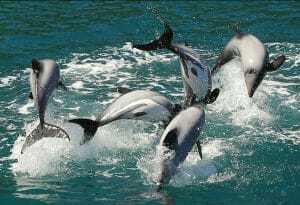 It’s similar for New Zealand dolphins. Again, our great-grandparents couldn’t go anywhere by sea without seeing them. They were common, but people don’t realise this was the case. People have forgotten. People even doubt it. I’m in the middle of post-graduate research and part of this involves brushing the dust off all these early mentions of New Zealand dolphins. They were often called ‘porpoises’ back in the day, as they looked more akin to the harbour porpoise than they did to other ‘typical’ dolphin species, such as the bottlenose and common. Things started changing slowly around the 1970s. Plastic set and trawl nets began taking their toll, catching these dolphins at rates faster than they could breed. Today, less than 20% of the South Island Hector’s dolphins and less than 5% of the North Island Māui dolphins remain. And slowly a nation forgets that there are supposed to be thousands more. I’m looking into the traditional Māori knowledge that relates to this species, which I am honoured to do. 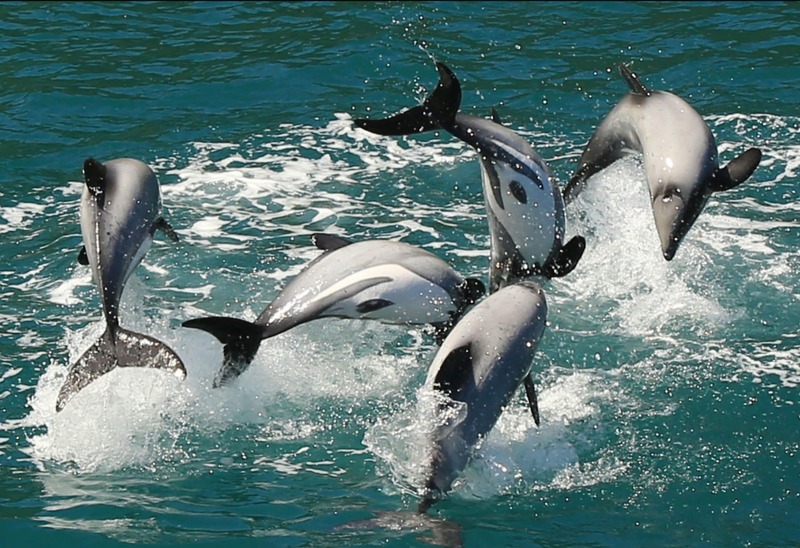 Of all marine mammals, New Zealand dolphins have the most Māori terms to describe them. Why is this? I’ve asked a lot of my indigenous friends and many say it’s probably because their ancestors interacted with them the most, they spent the most time with them. They became very familiar with their behaviours and recognised individuals by their markings too. 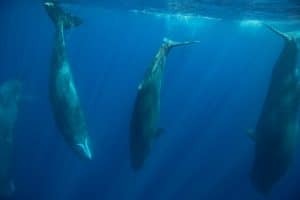 Some of the names describe younger and older members of the pod, males and females. Māori were scientists too, just in a different way. There’s a very special local connection. New Zealand dolphins have very small home ranges. Most have an average alongshore range of just 50km. Of course, there are some adventurers. We know at least seven Hector’s dolphins have travelled up from the top of the South Island to live with Māui dolphins in the North Island. But generally, most of the whānau, the extended family, stays home. The species as a whole is made up a series of subpopulations or subtribes that intermingle on the edges of their local areas. Most people don’t understand the species is configured up this way, as a series of genetically and geographically distinct groups. The science that backs this up is fascinating and it supports what we can see along the coasts, both in historical times as well as today. Because so many of these tribes have declined in great numbers, there are many more aspects to conservation recovery to consider. Smaller populations are even more susceptible to threats. 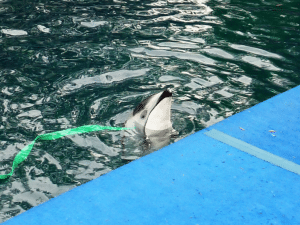 The smaller scale distribution of many of these New Zealand dolphin groups is shrinking. 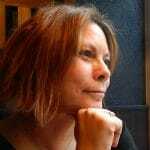 It is not as easy to meet up with neighbours. Genetic diversity is declining. One of my personal aims, through my postgraduate thesis and my work for WDC, is to remind people how abundant these beautiful dolphins once were and that many of our ancestors had a special connection with them. We should expect these dolphins to become abundant again; we should remember they belong here. And we should not lower these expectations in the face of the dolphin decline we see today. 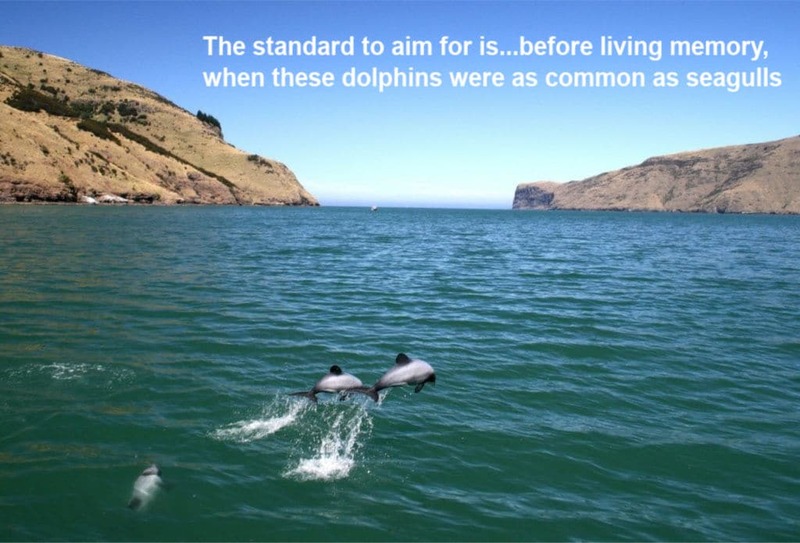 The standard to aim for is not 20 years ago, when there were a few more dolphins around, it’s before our living memory when these dolphins were as common as seagulls. That’s the real baseline, and that’s the standard of conservation recovery that we and the New Zealand government should be aiming for. 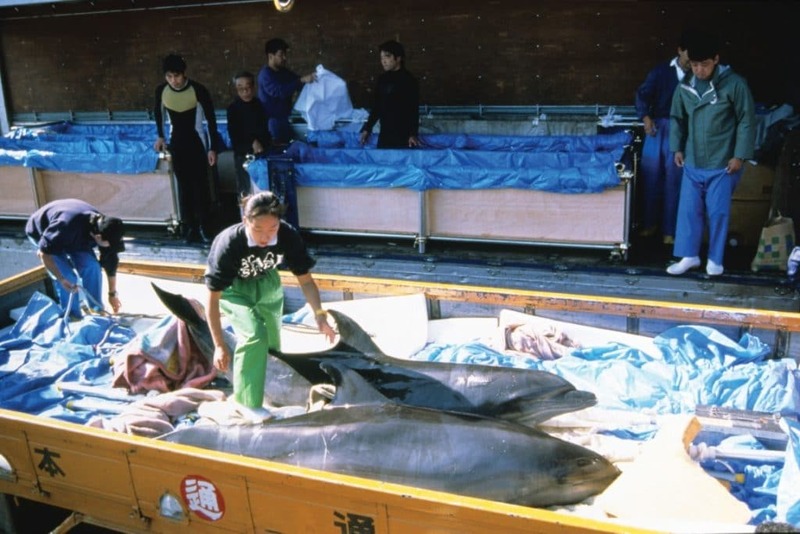 I hope your dolphins will be saved but they will need a lot of help.